The staff went out of their way to help us! Would definitely go back. Excellent location, great apartment, looks better than on the pictures. My boyfriend and I had an incredible experience at Buccaneer Beach Club. 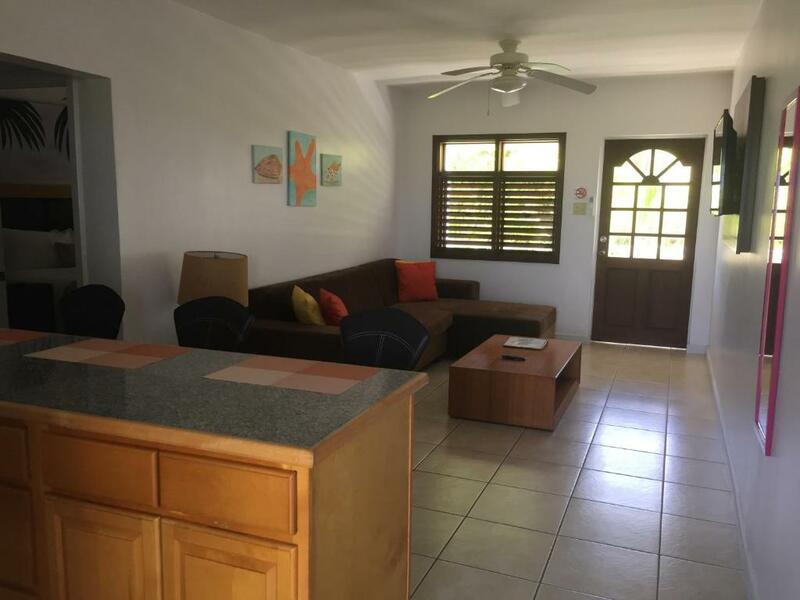 The staff is extremely friendly and attentive, willing to go out of their way to help you with anything you need, including getting groceries for you before you arrive, recommending restaurants and making reservations, and booking excursions. 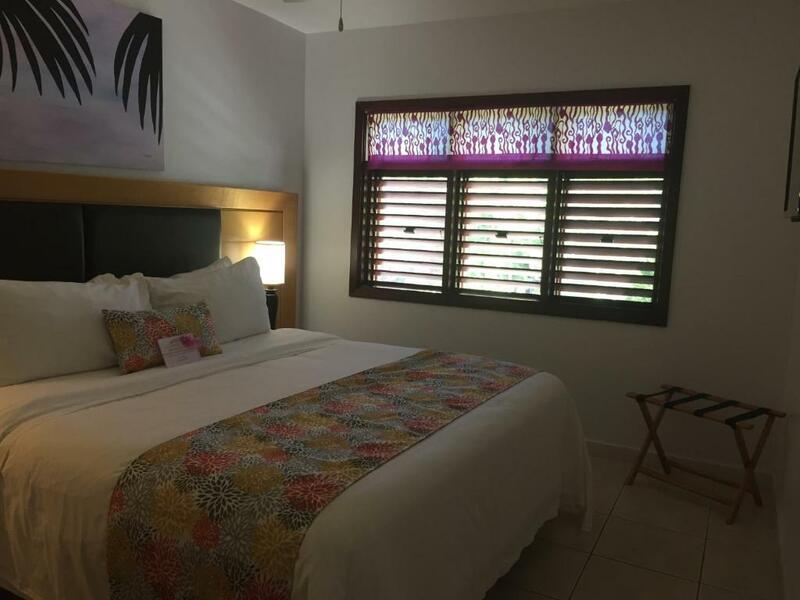 Additionally, they are very diligent about helping you with your beach chairs and making sure that people who are not staying at the hotel are not using the designated lounge chairs. The room exceeded my expectations, with a beautiful bedroom, spacious bathroom, living room, kitchen, and nice balcony. Above all, the staff helped my boyfriend plan his proposal to me, and they set up our room with flowers and towel swans. Overall, I would highly recommend this hotel to anyone looking to stay in Antigua. Amazing experience!! The room was very comfortable and location was amazing. All of the staff were extremely helpful and friendly. It was a great place to stay. Proximities to the beach Roomy apartment and big bathroom. Very comfy bed. Close to centre of city and pick up places for leisure boats. Would suggest to buy food at 1Choice or Epicurean and prepare your own meals. Restaurants are pricey. The property was spectacular!! Located on the beach. Property was maintenance daily by Oscar. Who does a excellent job of maintaining the outdoors part of the property. Brenda was my housekeeper during my stay. She did an excellent job of keeping my villa cleaned daily. Dacialois, T’chell and Simonetta did an excellent job to ensure that I was satisfied during my stay. When I come to Antigua for vacation, Buccaneer Beach Resort is where I will stay! I loved loved loved this apartment-style hotel! I could retire in a cozy apt like that steps away from the beach! Plenty of room for two or even three if someone is willing to sleep on couch, great kitchen, huge bathroom, comfy comfy bed, two televisions and a sweet little front porch. And everything was clean, clean, clean, clean!!!! Lock in a great price for Buccaneer Beach Club – rated 9.2 by recent guests! 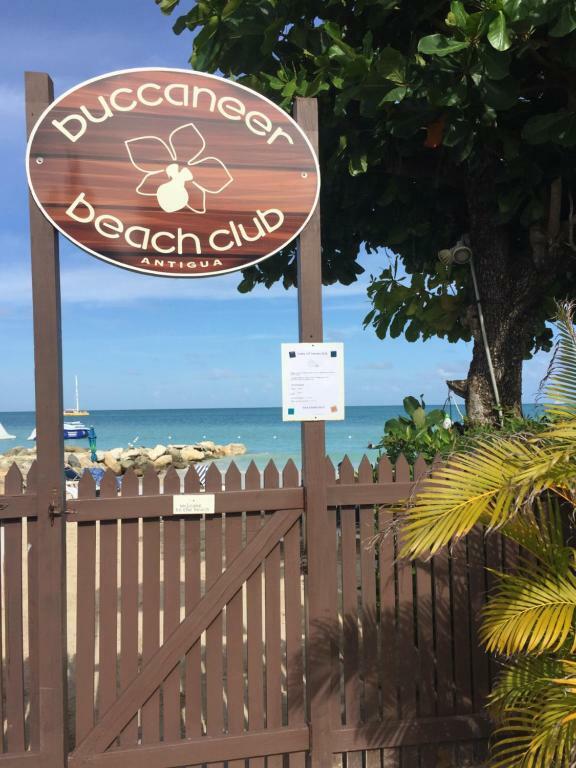 Buccaneer Beach Club This rating is a reflection of how the property compares to the industry standard when it comes to price, facilities and services available. It's based on a self-evaluation by the property. Use this rating to help choose your stay! Surrounded by tropical gardens, this small beachfront property is located on Dickenson Bay, just a 5-minute drive from the shopping in downtown St John’s. It features a free-form outdoor pool and free Wi-Fi. 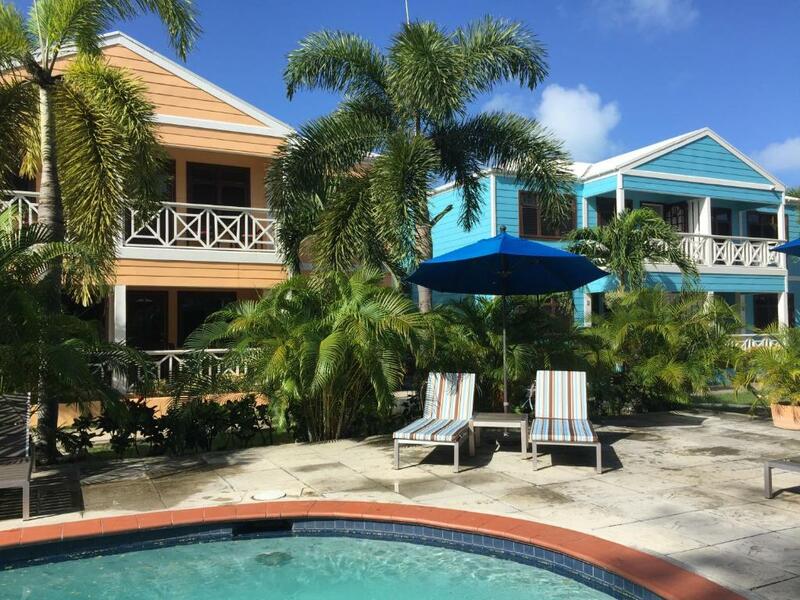 The bright villas and cottages at Buccaneer Beach Club have cabana-style furniture and a flat-screen TV with a DVD player. Guests can enjoy the view from the private balcony or prepare a snack in the kitchenette, which includes a microwave and fridge. Bicycle rentals and tour services are available from Buccaneer’s multilingual staff. Snacks and drinks may be bought at the front desk. Laundry facilities are also on site. The Cedar Valley Golf Course is 3.1 mi from Beach Club Buccaneer. VC Bird International Airport is within a 15-minute drive of the property. This property also has one of the top-rated locations in Dickenson Bay! Guests are happier about it compared to other properties in the area. 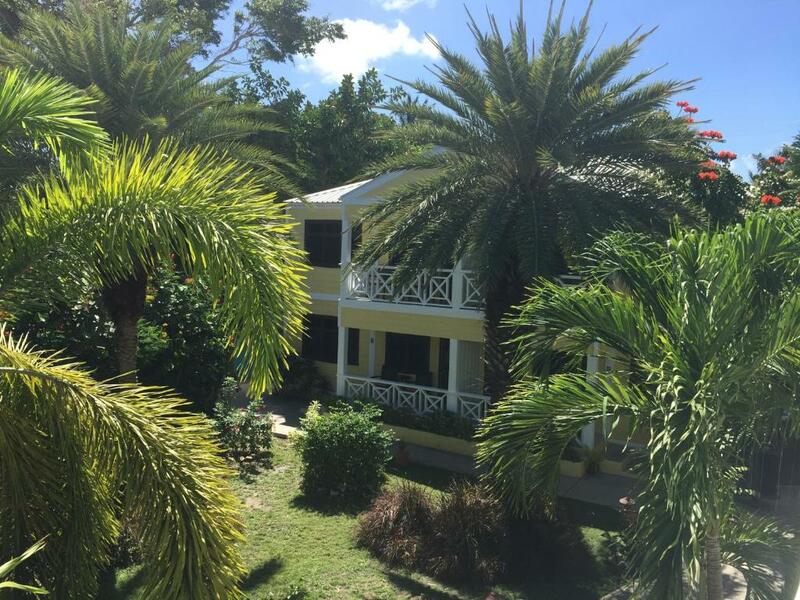 This property is also rated for the best value in Dickenson Bay! Guests are getting more for their money when compared to other properties in this city. 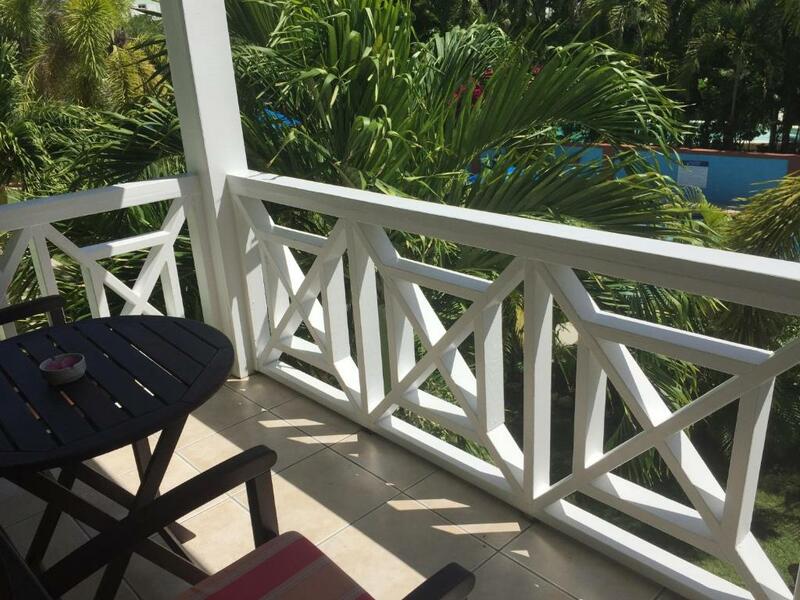 When would you like to stay at Buccaneer Beach Club? This villa features a living area with a sofa bed, a kitchenette, and a private balcony with views of the pool. The room includes a queen-size bed. This villa features a balcony, full kitchen, CD player and washing machine. The large bathroom has a shower. This apartment has a balcony, patio and barbecue. Hosted by staff in the garden! we like to take good care of our customers, that s why we have so many repeater guests ! 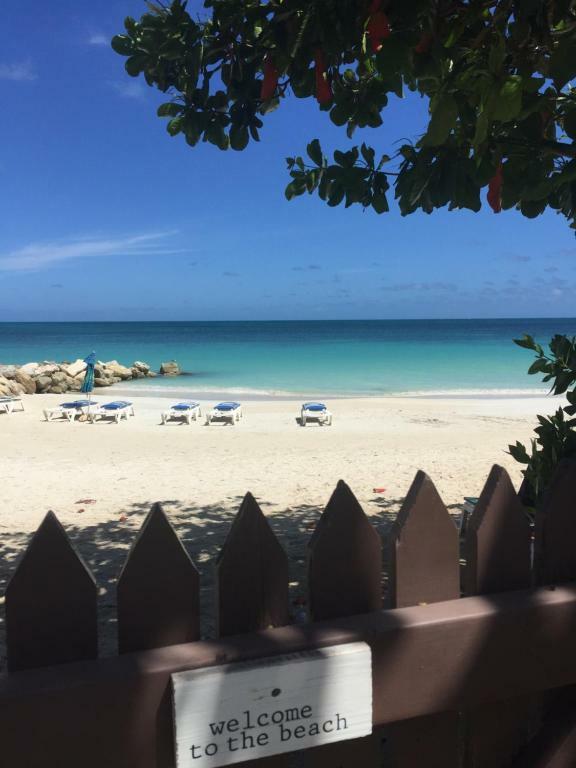 the turquoise water and the restaurants at walking distance are the plus of the Buccaneer Beach Club. House Rules Buccaneer Beach Club takes special requests – add in the next step! Buccaneer Beach Club accepts these cards and reserves the right to temporarily hold an amount prior to arrival. The music from the coconut grove restaurant became a bit annoying. It started some mornings at 7:00 am until 10.00 pm. They could face the huge speaker away from the cottages and to the other side. The apartments were fantastic, we had everything we needed, our groceries were delivered to our room before we arrived, we were a 30 second walk to the beach, the pool was a good size, it was lovely and quiet all we could hear is the birds singing, the sun loungers on the beach were always available, the best thing about our stay was the friendly staff we were greeted every day and our bags were carried to our room, the staff go above and beyond to make sure your ok it was excellent. Staff very friendly and helpful. 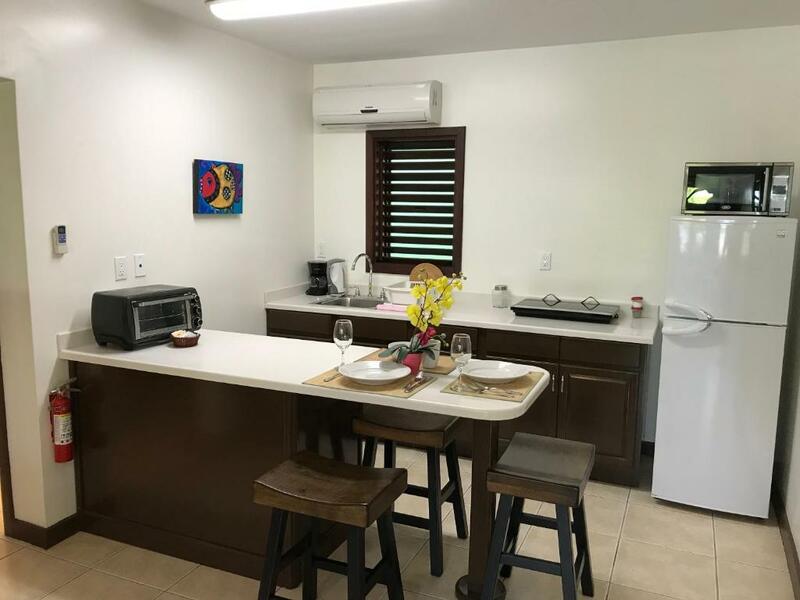 The apartment was clean and in a Great location with beautiful gardens. Better roads, refers to the island only -seems to lack a bit from investment in infrastructure. 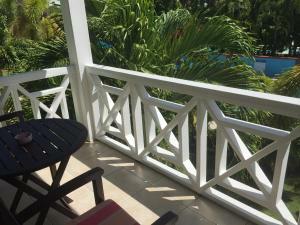 Lovely location, well maintained appartment and gardens, friendly and helpful staff. A very pleasant visit and good base to explore the island. Perfect setting at the quiet end of Dickinson Bay .Property is in beautiful well kept gardens and a lovely pool with ample sun beds The apartments are spotless of a good size ,with a huge bed and a lovely terrace or balcony to relax on .Literally 1 minute to the beautifully kept beach and it’s own sun beds and umbrellas .The extremely lovely helpful well trained staff will arrange anything for you ..The nicest place we have ever had the pleasure of staying at ! Pool and beach so close and pristine clean. The location is right on the beach and the staff make sure you always get a sunbed. There is a restaurant next door and the food is lovely - if a little on the expensive side. All the staff at Buccaneer were most helpful and we couldn't have been looked after better. Our apartment was very comfortable (cleaned every day) All in all we would thoroughly recommend this accommodation. The location was perfect, virtually on the beach. The staff were friendly and helpful and the room was bigger than expectations. The grocery pack on our arrival was a godsend as the nearest shop is 20 minutes walk away. Better internet service but that is not what I was there for so it was ok.